for their insane brethren, which would furnish besides the requisite medical aid, such tender and sympathetic attention, and religious oversight as may sooth their agitated minds and thereby under the divine blessing, facilitate their restoration to the inestimable gift of reason. The Friends Hospital is often celebrated as the U.S.’s first mental hospital. 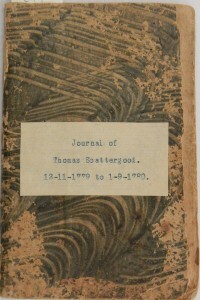 Special Collections here at Haverford College has a large collection of Scattergood Family Papers. We recently acquired 17 volumes of Scattergood’s diaries, from late 1779 to 1811. 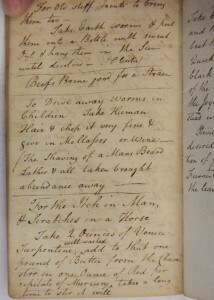 The earliest of the Scattergood diaries. Along with all sorts of notes about travel, daily life, and personal reflections. He also records many of his dreams—in one diary, he seems to be troubled by a recurring dream about fishing: He hooks a fish and can bring it to the wharf, but he fails to land the fish even with the help of his friends. But when the fish escapes, it never seems to swim away but lingers near the wharf as if taunting him. 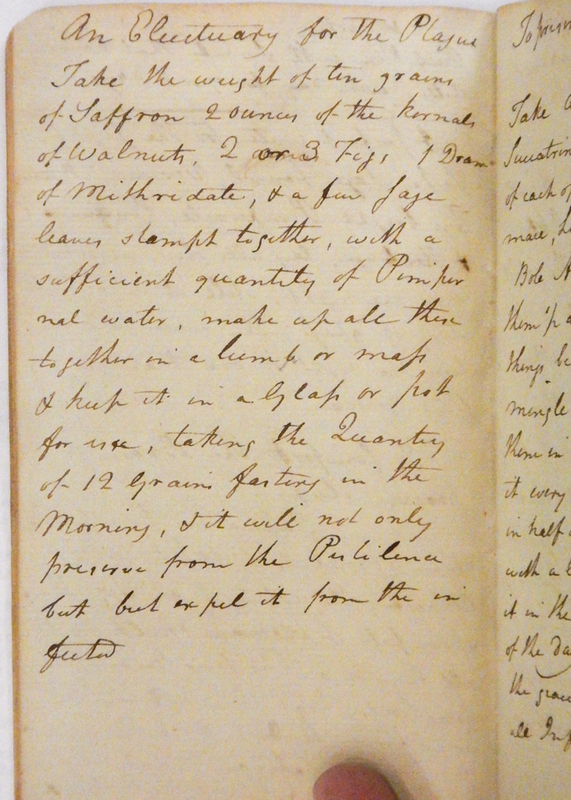 Interspersed through these diaries are various medical recipes. 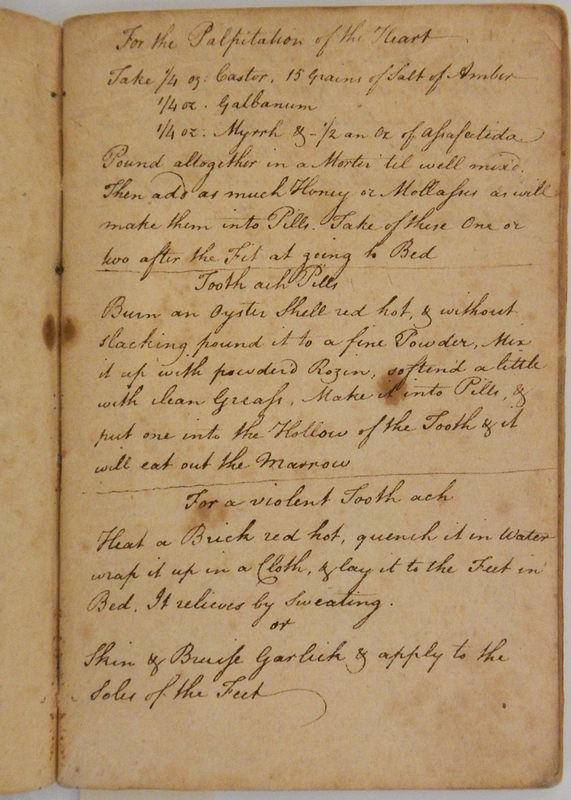 In his early diary, from winter 1779–80, he lists recipes for palpitation of the heart, tooth pills, and a violent tooth ache. Recipes for generic problems, like tooth aches. Sometimes Scattergood indicated his source. 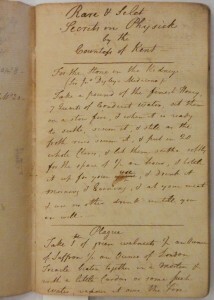 He copied a number of recipes from the “Countness of Kent” and from “Digby’s Medicine”. 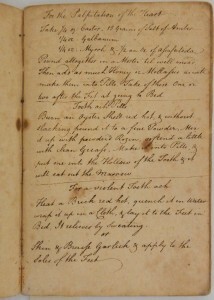 Scattergood was particularly worried about the plague, judging by the number of plague recipes. The itch in man was a type of scabs or scurvy, which appeared in sheep and horses. 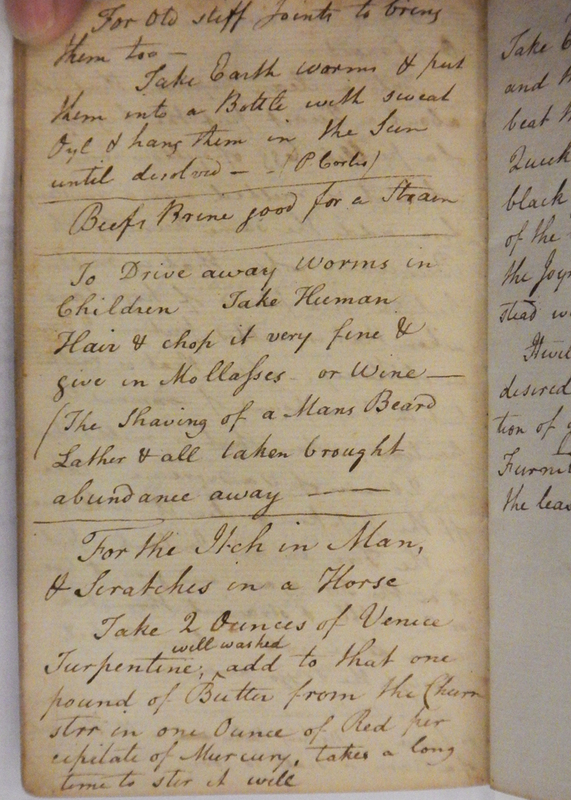 One way to look at Scattergood’s recipes is to see them as reflecting the diseases that worried him. 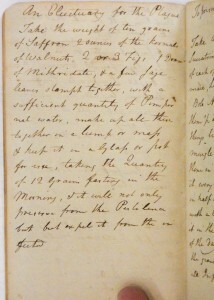 If we understand that plague and pestilence did not pick out unique diseases but were rather related to epidemics of various sorts, and we recall his having lived through the Yellow Fever epidemic in Philadelphia—at one point in a diary he laments that he has left his wife and children to suffer in a lesser epidemic (perhaps another Yellow Fever outbreak)—we can understand his interest in the many plague recipes. Generic recipes for cleaning and treating wounds shouldn’t surprise us. Equally interesting are the ingredients Scattergood lists: butter, walnuts, mithridate, red precipitate of mercury, Venice turpentine, quick silver, saffron, oyster shells, galbanum, and asafeotida. Many of these ingredients are found in most herbals of the time. Others seem more exotic and probably harder to obtain. Others must have been purchased from apothecaries or chemists, e.g., Venice turpentine or red precipitate of mercury. 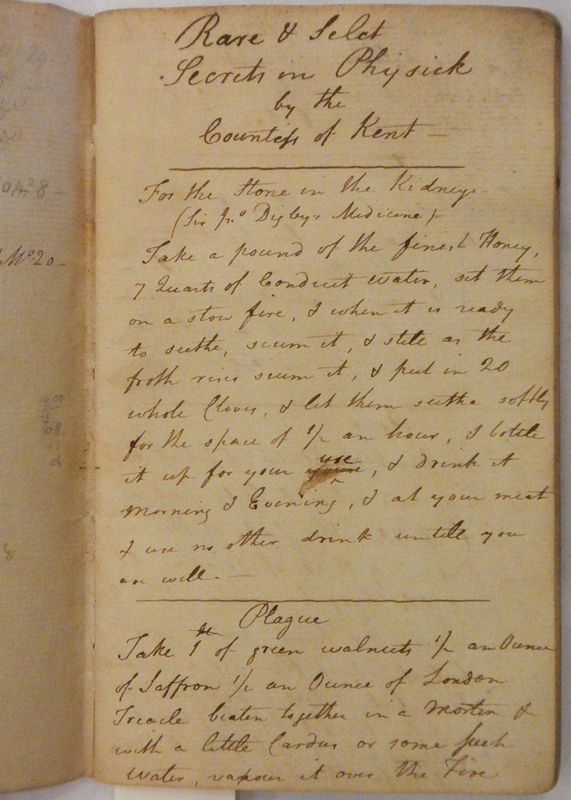 Perhaps spending more time with Scattergood’s diaries will reveal when and how he used these recipes. In any event, they offer a glimpse into late 18th-century life and medicine.